You’re playing a 9 seated sit and go tournament in the early stages. 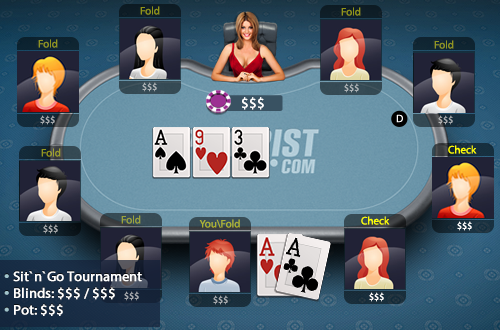 You are holding AA and the flop has come A93 against two opponents. They check to you.